I have been asked my opinion on a mating for this girl for next breeding season .I will keep my opinions to myself but would like to hear others opinions . Budget Is 0/ $20000 NSW , Vic breedback or a Qtis Stallion / Breed to Race . She hails from a nice Blue Hen.4 Stakeswinners /40 stakeswins .She is in NQ . She had bucket load of ability but not a great doer .My choice is a former Blue silks carrier. Over to the respected villagers . Will have a look Goldey, as I'm sure others will too. Must say the fact both the grand-dam and grand-dam were prematurely retired as broodmares without producing any progeny of note doesn't fill one full of confidence. Well I'd just go Casino Prince. Closer to home Top Echelon, though he's done little for quite some time. And Kuroshio in Vic if that's an option travel wise. Fwiw, on pedigree alone, Turffontein looks a super match, J'burg & TOTC being close relatives & Zedaan who I love, appears x 3 but the thing that strikes me is the huge incidence of Nasrullah (7 in 7 & 8/8) & his family vs. Hyperion sadly lacking x 4. Sorry wires crossed , written tycoons blue hens influence i was hoping to work with . This is the family of a very interesting colt called Silver Sharpe who was foaled the same year as the great Gunsynd. He was to win the three Derbies in a time when the first of these was the AJC Derby, followed by the VRC Derby, and then the Qld Derby also run in the Spring. The only two other horses to have completed that treble were Tulloch and Royal Sovereign. Another of the top line runners was a filly called La Neige who won the Epsom in 1976, while her grandson, De Gaulle Lane was to also win the Qld Derby, and the Rough Plate as a lead up to that race. Interestingly he was by The Commander, by Sir Tristram out of Diamond Lover making him a close relation to Octagonal. We have also seen an interesting one in Rampant Lion, a son of Lion Hunter who was to have his best successes over 1600m which was a little unusual for the speedy types that stallion often produced. Closer to this direct line, we see the good colt, You Remember, a sprinting type who won the Group 1 Manikato Stakes in 1995. Second Chance makes a very good point about the family, in that little of note has been produced of late, and in fact getting a foal to the track is probably the first real goal for the mare, as it is a family that recently has had some difficulty in this regard. I will have a look at some options for the mare, but I would strongly recommend that stallions with a proven record of producing plenty of sound progeny should be high on the list. Don't suppose you were looking at Domesday were you Goldey? Yes Domesday is in my top ten , but the Royal Blue Stallion that caught my attention was Holler . Goldey, my bad I just don't get it. Would very much appreciate if you could elaborate about Holler and the Royal Blue stallion theory. Me like Second Chance here . I have never heard of a Royal Blue Stallion theory ?? Whats that about please ? Has anyone got any stats on atriple cross of MrP just worried about durability . Stallions here that i could see with a triple of MrP Shooting to Win ,Deep Field ,No Nay Never, Fighting Sun , concerns me about the legs? Still don't get it. What particular attractiondo Godolphin stallions offer? No attraction , no smoke and mirrors . Just a colour. Away at the moment so not doing anything at the moment. Sorry Goldey. I'm sure the above have plenty of ideas. For next season any way furious. So a few options for the mare. First off though let me reinforce the idea that we should be looking at a proven stallion, as we want the best chance of getting the progeny to the track. I would also suggest that spending too much on a service fee is probably not the best idea either. The aim should be to upgrade the immediate family, and ideas of breeding stakes winners is probably not a realistic goal. There should never be anything wrong with trying to breed a good racing prospect. The family has been bred largely speed on speed for a while, so we really need to reintroduce a few more stamina oriented lines in the pedigree. That is different to the idea of breeding a stayer by the way, as it is all about balance. First option is the evergreen Show A Heart, but I am not sure what the go is with him these days. He offers a good chance of breeding a decent runner. We see a duplication of Biscay, but probably more important a new line of Raise A Native who I think is a good balance for the lines of Mr Prospector in the mare. Red Dazzler is another solid option at a moderate fee. He offers a duplication of Vain, so we reinforce speed lines, but of course offers a little more especially through his sire Red Ransom and Danehill as his damsire. His progeny are good bread and butter options, and tend to get over that 1400-1600m range regularly. The left field option in Qld is a relatively new one at Raheen called Nom Du Jeu. A stallion who stood in NZ after winning the Australian Derby and running second in a Caulfield Cup, his progeny have been going OK. They also tend to sprint better than many may suspect, and what is particularly attractive is the introduction of another line of Zedaan, a stallion who sired Adraan, a stallion who was imported to Australia and sired runners like Bataan. Adraan is the third damsire of the mare, and I would suggest that this progeny would be a fairly solid miler type at the end of the day. County Cups in Qld would be something that could be an aim if all went well. If we want to travel, you could do a lot worse than visiting perhaps the best value stallion in Australia in Denman. Again we see a duplication of Vain, but we also see the presence of Marscay. While the resultant progeny will be more of the 1200-1400m type, there are stamina lines through Zabeel so a solid chance of producing a good racing prospect. Galileo is perhaps the hottest stamina influence in the world at present, in spite of his moderate success when he stood in Australia. He has two sons that would fit the bill as matings for the mare in Highland Reel and Adelaide. Highland Reel we have discussed in another thread, but interestingly is from the family of Circles of Gold, a daughter of Marscay. Adelaide offers a different prospect, as we see Mill Reef a more significant influence. Of course these are two unproven stallions so not a real option unless you have a particular interest in either. On the same unproven idea, one called Olympic Glory is interesting. A champion miler, the son of Choisir introduces speed lines, but balances that with the Mill Reef lines. Another slightly left field option in NSW is Roman Emperor. 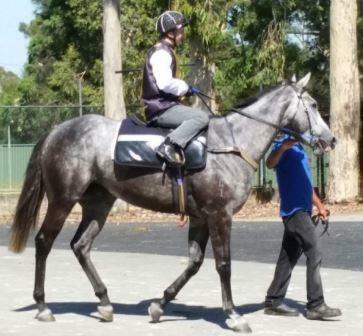 Again a Derby winner who was to run second in a Caulfield Cup, he has been going OK. Of particular interest because we see his damsire as Last Tycoon and this is the feature of the mating, although we also see the Zedaan influence that we saw in the case of Nom Du Jeu. Roman Emperor is dead. He moved to Victoria earlier this season but then he unfortunately died. Lots of sites don't seem to catch up for ages. I was just wondering , i have poured through a lot of X chromosome Lines of WT and the mare, and to me, to get Sir Ivor and or Better Boy and Vain to feed into the bottom line could be benificial , am i barking up the wrong tree . Peoples thoughts on Al Maher , is he too big as a first suitor . We sent a 16.1 maiden mare to Al Maher and she had no trouble foaling. The foal was well put together, in no way gross, and about 16 hands tops. I like your idea of Holler bringing in the double line of Miss Entertainer through Written Tycoon and Holler himself. Plus you have Showdown blood in Strategic and the 1n blood in Zeditave which is the same family as Gold Carat sire of You Remember the last G1 winner from the family. Have you looked at Better than Ready who seems to have started very well. He is from the same female line as Written Tycoon (the old Manto line) and gives a double of Kenmare m x f. A line of Mr Prospector through the sire More than Ready also. On paper you are moving away from some previous crosses but the 1-m line is very close to the 1n which is a proven cross. You can find Showdown in Love Conquers All and Magic Albert (who is very quite these days). Pendragon has Showdown's 1/2 brother Duke Ellington. Forgot Ilovethiscity which is also the Showdown sireline. Thanks furious , I really like Holler,as that branch of the his female line is arguably stronger than WT , but nothing to gauge what he is producing in type. Mind you in the end the it is up to mare owner,who wants input as no Idea of breeding . I also feel Pendragon is very underrated and matches well in type and ped ,Better than Ready i feel is too straight backed like the mare . Because of the lack of success in the famale line to actually produce recently. I feel a younger under utilised stallion may be the best chance for a positive and hold , or a estabished stallion with a strong fertility record .Another angle would be Eight Carat , I reckon it would just click with the other reaches of her female line. It is nice to think that the most successful era of a female line can have the blow torch applied . Rod God is another duplication that could possibly work I feel . The owner is very open to breeding back the following year which would make the resultant foal dual breeder incentive qualified .NSW /Qld is where I would recommend to the owner. Stallions with a fertility record tapering off would be very risky imho , just saying with this mare , She has struggled with folicle size Since she startied cycling recently after retirement .